As a not-for-profit organization with a spiritual heritage, Asbury pledges each day to make a difference in the lives of those we serve. Financial stewardship is a pillar of Asbury’s foundational strength, ensuring we will keep the promises we make to our stakeholders. When the Rolling Acres Dairy Farm in Gaithersburg, MD, was purchased in 1926 to establish a Methodist Home for the Aged, the plans described it as a place to “eat, sleep and rock” – as in a rocking chair. What an evolution Asbury – and our industry – has undergone! The Asbury Support and Collaboration Center is the hub of the Asbury System, providing the strategic and operational guidance and support that make our Mission possible. Less than 25 percent of the nation’s CCRCs hold investment-grade bonds, and we are proud to be among this group. In 2017, Fitch Ratings reaffirmed Asbury’s Maryland Obligated Group bonds as BBB with a stable outlook. 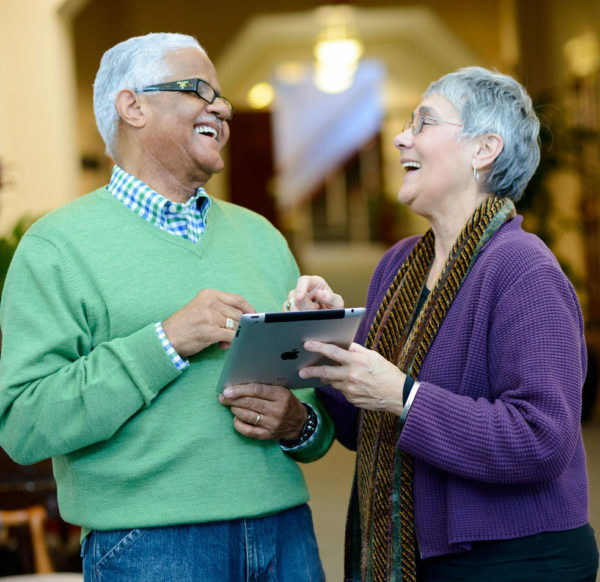 For more than 20 years, Asbury’s IT consulting affiliate has been providing comprehensive IT strategy, implementation, and support to senior living providers – and providing the same critical services to the organizations within the Asbury system. The collaborative relationships we develop with business partners enhance our own talent pool with fresh perspectives, innovative solutions, and unique strengths. Each business partner is an industry leader in key value areas such as dining and facilities management, post-acute rehabilitation, financial planning, and award-winning campus enhancements. And each has the advantage of focusing 100 percent on their service line. Working together, we have become market standouts in specialized post-acute and skilled nursing services, saved more than $2 million dollars in energy costs and millions of gallons of water system-wide, and earned multiple awards for environmental sustainability. Our business partners are some of the most efficient and innovative providers in the industry, bringing a more complete portfolio of best in class to Asbury. In 2013, Asbury entered into a partnership to reduce our energy usage. Since then, we have reduced carbon emissions across our system by 26 percent, or 18,280 metric tons. The Asbury Foundation is integral to our not-for-profit pledge to make a difference in the regions where we operate. At the heart of the Foundation’s work is our Benevolent Care program, providing peace of mind to Asbury residents that their home is secure even if they outlive their resources. The Foundation touches virtually every aspect of Asbury’s campuses, forging relationships that enrich the lives of residents and associates – such as the Nursing Scholarship Programs. Asbury Foundation Capital Campaigns and Caring Classic Tournament continue to support significant campus enhancements such as the Richard D. Rife Center at Bethany Village, completed in 2016. And just as our Benevolent Care commitment continues to grow, so do our Social Accountability programs, bringing associates together, often in concert with residents, to be a force for change. Whether it’s the annual Bethany Village Rock-a-Thon for Alzheimer’s, Asbury Methodist Village’s Meals on Wheels volunteers, or Springhill’s partnerships with local homeless shelters and veteran’s organizations, our Mission is hard at work wherever we are.